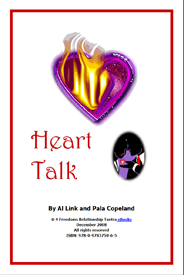 We created the Heart Talk many years ago as part of our spiritual practice and have been teaching others how to use it since 1997, with great results. Couples we work with use the process to quickly and permanently fix all sorts of difficulties that have been spoiling their relationship happiness. You can do the same by following the simple instructions presented in this vBook (video eBook). Category: Ebooks. Tags: communication, couples' advice, ebook, relationship problems. Use the simple, powerful Heart Talk communication process in this Ebook to solve your relationship problems and create a loving, fulfilling life together. Almost all relationships have problems that get in the way, causing disagreements, arguing, and fighting. “I like to sleep with the window open. You like to sleep with the window closed. How much of your time do you actually spend loving each other and having fun together? Are there issues that plague your relationship, spoiling your ability to live peacefully and happily together? Do you argue and fight about any of these things (or anything else)? Removing existing blockages is often all that’s required to move forward and go higher. Then, as you proceed in your life together, your relationship will evolve along a path filled with remarkably consistent happiness and the sublime pleasure of freely giving and receiving love. The Heart Talk is one of our favorite tools for couples who want to take their relationship to new psychological, emotional, energetic, and spiritual levels. A Communication Tool that Really Works! The Heart Talk can fix the biggest relationship problems you have, regardless of how long you have had them, how big they are, how serious they are, how impossible you might believe the solutions to be, and regardless of their detailed circumstances. That’s a big claim to make, but it’s not an over-statement. The structure of the Heart Talk guarantees that, if you honor the process, both love and wisdom will be present. First, the person giving the Heart Talk must go to the core of their deep feelings and reveal one or both of these two things: In this situation a) I am afraid and/or b) I am hurting (or the many variations of these two emotions). 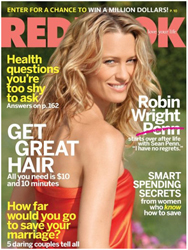 The Heart Talk is a relationship communication tool designed for couples who love each other. Therefore, when one of you gives a Heart Talk, revealing that you’re afraid or hurting, you are daring to be emotionally transparent and vulnerable and that’s what it means to have your heart open. Also, when you hear someone you truly love tell you that in a situation involving you, they’re afraid and/or hurting, your heart will open. Both hearts are open. When hearts are open love is present. Second, the listener must wait a specified period before responding. This allows the mind and emotions to calm down. Most people are either feelers (primarily engaging the world through emotions and feelings), or thinkers (primarily engaging the world through ideas, logic, and rationality). If the listener is primarily a thinker, (s)he cannot offer an immediate rational solution that is devoid of feelings. If the listener is primarily a feeler, (s)he cannot respond with a quick over-emotional reaction that distorts reality. With the mind and emotions calm, wisdom comes in. Therefore both love and wisdom are present. Love and wisdom together can solve any problem. How far would you go to save your marriage; 5 daring couples reveal what they did for love. The “heart talks” technique they taught us was key. If something’s bothering me, I tell Tami I want to talk. She listens, without responding. Then within 24 hours she comes back with her response. The talks diffuse confrontation and we both feel understood. I love my wife more each day and could not imagine what would have happened to us without this workshop.